But first, let’s delve into the advantages of using a two-stage snow blower. How much pain were you in last year trying to shovel all the snow away manually? Not only did you waste a lot of time outside in the freezing cold weather you’ll never get back, but when you’re too tired to do anything else after work there is something seriously wrong. This year you don’t want to waste a minute of winter. In order to make your life a hundred times easier you’ll need to start using a quality snow blower from now on. Before we look at one of the best models on the market, we’ll first look at why 2-stage snow blowers like the Briggs and Stratton 1696619 reign supreme. Welcome to your cockpit. Self-propelled to make it easy to move in snow. There are huge differences between single stage and dual stage snow blowers. It might not seem that way at first glance, but if you choose the wrong one it could have a big impact on the work you’re able to get done. To prevent you from choosing the wrong snow blower we’re going to look at the main advantages of a 2-stage model. Single stage snow blowers are okay if you’re using them on paths and driveways, but only if they’ve been built using a solid material. If you try to use a single stage model on something like gravel or dirt you’ll end up in trouble. This is thanks to the auger making direct contact with the ground underneath the snow. 2-stage snow blowers like the Briggs and Stratton 1691619 never touch the surface they’re rolling over, so you can use them anywhere without running into any problems. A single stage model might look attractive at first because it doesn’t weigh as much as a dual stage snow blower, but that would only benefit you if it needs to be lifted off the ground. It won’t need to be lifted in case you’re wondering. You’ll still have to push the single stage snow blower around the garden all on your own. A 2-stage blower is different because the wheels will be power assisted. This really helps when you have slopes in your garden and when you’re covering large swaths of land. 2-stage snow blowers will have a wider clearing path and intake height, so it will be able to tackle a lot more snow at the same time. The auger also won’t just feed the snow into your discharge chute. It will first be fed into the impeller that will blast it into the discharge chute, so everything will be moved along quicker and it will be thrown further. You’ll never have to deal with the same pile of snow twice because you couldn’t get rid of it properly the first time around. A little single stage snow blower might look cute, but it ultimately won’t be of any use in harsh conditions. They’re only designed to work on snow if it’s less than around 8-inches high. Even if the snow doesn’t sit any higher than this on any given day, you’ll still have to get to work straight away in case it snows again. A dual stage snow blower will be able to tackle snow when it’s sitting much higher off the ground. In fact, if you don’t live somewhere with some of the harshest winter conditions around it’s not going to let you down. Designed for people who need to clear moderate to heavy snowfalls. When it comes to snow blowers they don’t come much better than the models offered by Briggs and Stratton. What else would you expect from a company turning over more than a billion dollars each year? The reason they’re so profitable is because customers love all of their products, but the Briggs and Stratton 1696619 snow blower has been extra popular. Let’s look at some of the features helping it crush the competition, and when you’re done you can read the reviews on Amazon to see what all the customers are saying about it. Powerful 250cc 1150 Snow Series Engine. An Easy-To-Use Electric Push Button Start. Room To Deal With A Large Capacity Of Snow. Free Hand Control Simple Operation. Friction Disc Drive System With Multiple Speeds. Easily Adjustable Manual Chute Rotation. It’s Going To Last For A Long Time. Moving It Around When It’s Switched Off. The 1150 Snow Series engine on the Briggs and Stratton 1696619 snow blower has a massive 250cc of power with 11.5 ft-lbs of gross torque under its hood. It’s enough to plow through the snow with ease in any conditions. You won’t see it run into any problems until it drops more than 20 degrees below freezing. You’ll also have a fuel tank capacity of 3.2 qts, which should be more than enough to clear the snow from your entire garden in one go. The power of the engine is based on it turning at 2,600 RPM in a factory setting, but it’s still a monster. Easily adjust the direction the snow is thrown from left-to-right. You’ll always have the option of starting your snow blower using a pull cord like you’d normally use, but will your ice cold hands be able to handle it in winter? Wouldn’t it be much easier if you could press a button to start the engine automatically instead? 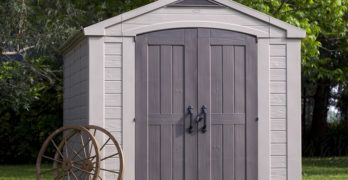 It will need to be plugged in first so you’ll need to do it before you reach your garden, but the electric push start button will save you lots of time and effort. It will also work if it drops to 20 degrees below freezing, which you’ll hopefully not have the pleasure of experiencing. The clearing width of the Briggs and Stratton 1696619 snow blower is 27-inches, which will cover a huge chunk of your driveway. An intake height of 20-inches also means it will be able to handle the snow even if it’s been building up day and night. Everything will be passed from the notched steel auger into the 3 impeller blades sitting behind it. Both the auger and the impeller are 12-inches in diameter. With all the snow it’s dealing with at the same time it can still launch debris 40-feet away depending on the conditions. Have you ever heard someone say they could do something with one hand tied behind their back? Well it’s not quite so simple when you’re using the Briggs and Stratton 1696619 snow blower, but it’s almost the same thing. You’ll easily be able to control your snow blower using only one hand, but why is this feature so important? You don’t want to take your hands of the controls when you’re operating such a powerful machine, so when you can control it with one hand your other one will be free to control the direction of the chute and the speed you’re traveling at. You’ll never have to struggle pushing your Briggs and Stratton 1696619 through the snow, and you have the friction disc drive system to thank for it. Unlike a lot of snow blowers where the machine will simply glide along on its own without too much effort, this machine cranks it up to the next level. You will actually be able to change the speed of the snow blower depending on how fast you want it to go. 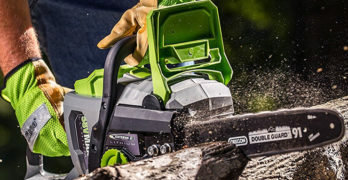 It comes with five forward and two reverse speeds, so you’ll have more than enough to choose from depending on where you’re working and how steep it is. We’ve already mentioned the fact your impeller will be able to proper things out of the chute roughly 40-feet in perfect conditions. It’s also going to be throwing out all sorts of objects with the potential to cause a lot of damage as opposed to just snow. Imagine not being able to control where you’re dumping everything. 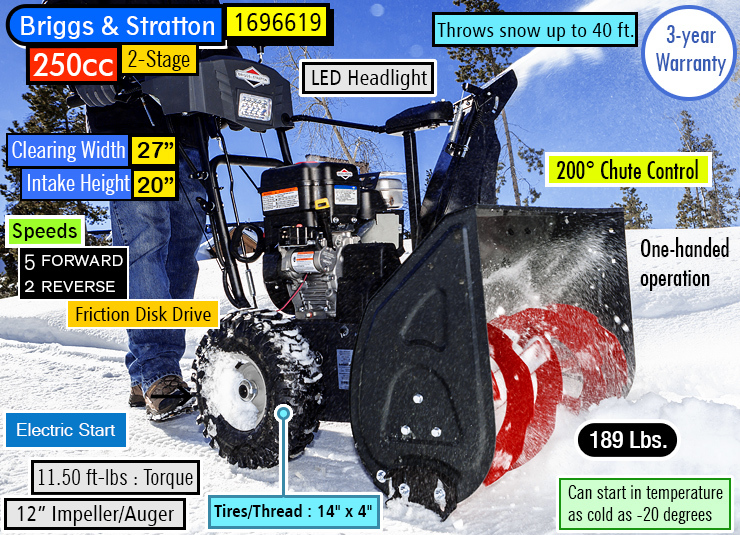 The manual chute rotation on the 1696619 snow blower will give you total control at all times. Its location on the control panel will also allow you to switch it from left to right in less than a second, which will help in an emergency situation. If you want to move the snow away from your paths and driveway it’s sometimes going to be in the morning before you go to work unless it’s too dark. Even when it’s not dark, it’s still going to be hard to see if the weather is playing up. You’ll be able to deal with this setback because of the integrated LED headlight. It’s going to light up your control panel so you’ll be able to see everything without squinting your eyes and getting too close. It will also brighten up your surroundings in front of you so you’ll see where you’re going. Controls are well-laid out and the one-handed operation makes it easy to handle. Almost everything on your Briggs and Stratton 1696619 will be made from metal. All the important parts will be anyway, and some of them will be built using the best materials available. The steel frame and chute will be able to take a lot of beatings, as will the notched steel auger and the steel reversible skid shoes. Even the gearbox is built from aluminum to help it last a very long time before anything goes wrong. The fact your engine is from Briggs and Stratton only adds to the snow blower’s longevity, because they’re number one in the world at building engines for outdoor power equipment. It does weigh a whopping 189 pounds, so you’d naturally assume it would be hard to move from A to B when you’re not being assisted by the machine. Luckily there are a couple of features to help you push and pull it around anywhere as long as the weather isn’t too bad. Firstly, the huge wheels are 14-inches high by 4-inches wide. The snow blower is also designed to feel light when you’ve got it tipped over pulling it around. It’s a lot easier to move when the machine does all the work, but even though it’s 189 pounds you’ll be able to move it manually. The only reason you have to use a snow blower in the first place is because it’s been snowing, right? It means the temperature is going to be very cold. The first basic maintenance tip is to use specialized cold engine oil to ensure your 1696619 snow blower is completely optimized. 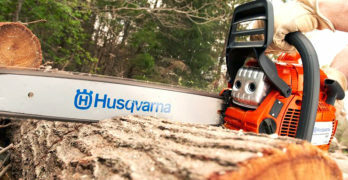 It’s been designed to work flawlessly in the coldest temperatures to keep your machine running along smoothly. If you’re unsure which kind to buy Briggs and Stratton have made it easy for you, because they sell the exact small engine oil your snow blower will thrive on. It’s also a good idea to add fuel treatment to your gas before you pour it into your engine. This will prevent things like varnishes and gums building up inside the engine, which will affect your fuel lines and the integrity of other parts. As an added bonus, your gas will stay fresh a lot longer too. This will only work if you add the fuel treatment to your gas before you pour it in, so it can’t be added as an afterthought. The easiest way to remember is to get into the habit of pouring it into your gas cans before you’ve filled them up. Video | How does Fuel Stabilizer Work? Please Note: It’s also well worth your while to change things like air vents and spark plugs before winter arrives, but you won’t have to do this until next year. It will prolong the life of your engine, and you’ll find the exact steps showing you how to do it inside the operator’s manual. 24-inch clearing width powered by a 208cc engine. 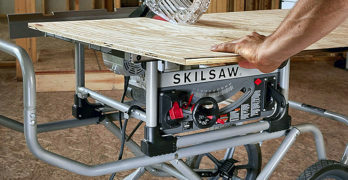 The Briggs and Stratton 1696619 model is absolutely superb, but there is also another option to think about. The 1696614 snow blower could easily suit your needs because both machines are almost the exact same. They’re so identical there are only a few standout differences between them, so instead of going through all the features we’ll focus on the major differences between each one. Afterwords, we will take a look at why you might choose the smaller model. *Note: The Briggs and Stratton 1696614 is the same as the Briggs and Stratton 1696619, except for engine size (208cc) gas engine and a smaller clearing width (24-inches). It’s basically the younger sibling of the 1696619 snow blower. Pick the model based on the size of your driveway and walkways. This time the clearing width of the auger is only 24-inches wide, which is a few inches shorter than the 1696619. It ultimately means you’ll take longer to get rid of the snow in your garden because you will have to go back and forth a few extra times. The width of the auger might benefit you too, but we’ll cover that in a minute. As mighty as the 950 Snow Series engine might be, it’s still no match for the engine on the Briggs and Stratton 1696619 snow blower. It comes with 208cc and 9.5 ft-lbs of gross torque under the hood. It doesn’t hit the same standards as the previous one, but it’s still one of the most powerful 2-stage snow blower engines on the market. Can start in freezing temperatures as low as -20 degrees. The Briggs and Stratton 1696619 will cost you more money. The 1696614 model isn’t as expensive, but it’s not a hundred times cheaper by any means. If you opt for this model you’ll only save a little, but it’s still cheaper to buy therefore qualifies as one of the big differentiators between the two. You’ll need to visit Amazon to check the exact price at this moment in time. Why Would You Choose The Briggs and Stratton 1696614 Snow Blower? What would you do if an area of your garden could only squeeze in a snow blower less than 25-inches in width? If you opted for the Briggs and Stratton 1696619 you would still have to pull out your trusty shovel to clear the snow away, but the 1696614 model would fit into the space. Don’t buy the bigger model if it won’t fit in certain places throughout your garden. If you live somewhere with lots of snow the larger model definitely makes sense. After all, the quicker you can finish the job, the more time you’ll have to yourself. But if you don’t live somewhere with a ton of snowfall a snow blower with a 208cc engine is still going to be enough. You don’t always need the biggest and baddest machine if there isn’t any need for it. Look, sometimes you just don’t have the money to squeeze out an extra couple of bucks. If you need it for other things you should only buy what you can afford. It might mean you’ll need to work a touch longer when you’re clearing up the snow, but at least you’ll still not be breaking your back doing everything manually. Also, don’t opt for the smaller model if you have the money for a better one. Oversized controls provide mitten-friendly operation. Buy the Briggs and Stratton 1696614 from Amazon. The engine on your snow blower is powerful and all the parts work like a charm, but there still might be times when something gets stuck. If this ever happens you must turn everything off before you attempt to dislodge any debris. It’s also vital you use a stick or clearing tool instead of going near anything with your hands. If you don’t have anything on hand you must go and get something before proceeding. Important: You’ll need to wait until the impeller blades have stopped rotating before you do anything, so just because it’s switched off it doesn’t mean it’s safe. You’re going to be wearing a lot of clothes in winter because the temperature will be so low. Make sure the clothes you wear aren’t loose-fitting, because you wouldn’t be the first person to be sucked into their impeller blades. Keep a careful eye on things like your scarf in case it accidentally comes loose while you’re moving around. It would be helpful if you kept it tucked into your jacket. This is the third time we’ve talked about something concerning a part of your body being chopped off in the safety section, but it’s the most common injury and amputations can happen. The reason you’ll want to wear sturdy footwear is pretty self-explanatory, but it’s even more important in winter. There is nothing to protect you from slipping on ice and falling into your snow blower except for sturdy footwear and common sense. The Briggs and Stratton 1696619 snow blower is gas-powered and has a great engine, so it’s going to make a lot of noise. Electric snow blowers are almost silent and you don’t have to wear any hearing protection, but if you value your hearing you’ll wear ear defenders when operating a gas-powered one. You might think you’ll be able to get away with it, but it will damage your ears over the long term and you’ll not know it’s happening. Don’t forget those eye goggles too. I know you would never normally start a gas-powered machine indoors. You’re sensible enough to know carbon monoxide poisoning is nothing to mess around with. There is only one time of year when it’s easily to forget all about your safety. You might be tempted to start your snow blower inside because it’s so cold outdoors, but the Briggs and Stratton 1696619 is so easy to start anyway so don’t be lazy. We’ve talked about your safety, so let’s now look at the safety of everyone else. You should always keep a close eye on the general vicinity you’re working in because people could sneak up on you, but also remember what else we’ve talked about today. Even the Briggs and Stratton 1696614 snow blower has the power to launch things almost 40-feet. It also won’t be the snow flying that far, so it’s going to be things capable of causing serious damage to humans, dogs, and cars. Please Note: There are a lot more safety precautions you’ll need to take into account and they can be found in the operator’s manual. Read over everything carefully before you use your snow blower for the first time to ensure you stay safe. You’re probably already worried about what Mother Nature has in store for you this year. Just be thankful you have the option to pick up a Briggs and Stratton 1696619 snow blower, because your parents and grandparents certainly never had access to such a machine. I bet you can even remember shoveling snow during your own childhood because they didn’t want to do it. If you’d like to banish those memories from your mind forever, you’ll need the help of a powerful snow blower this winter. Click over to Amazon and read the reviews left by people who threw away their shovel a long time ago. After you’ve read a few you’ll realize you won’t be able to handle another winter out in the cold doing everything the hard way. Learn more about the history of Briggs and Stratton. They’ve been in business since 1908 — they know how to make snow blowers that you can rely on throughout the years. If you want additional 2-stage snow blowers to consider you can see below the current top selling snow blowers on Amazon.